A severe form of acne is cystic acne. Cystic acne feels like fluid-filled, soft lump under the skin’s surface of the skin. It tends to develop on the face, back, chest, shoulders or upper arms. The biggest factor contributing to this skin problem is hormonal changes that promote sebum production. Use of greasy cosmetics, certain drugs and chemicals, as well as excessive humidity or sweating are some of the main factors responsible for cystic acne. 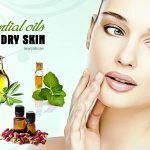 There are lots of skin care products on the market promising great results to cure cystic acne but they often lack in giving the promised results. Instead, maintaining a healthy lifestyle and skin care routine is paramount to get rid of cystic acne. 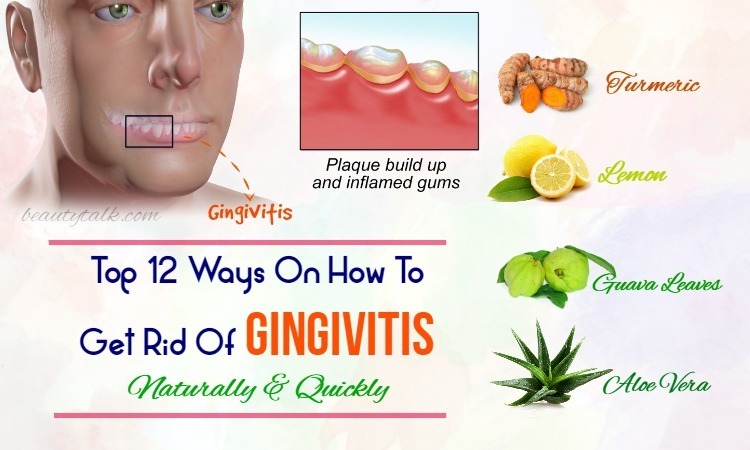 Plus, there are simple tips and natural treatment that can treat it effectively by reducing inflammation and combating infection. 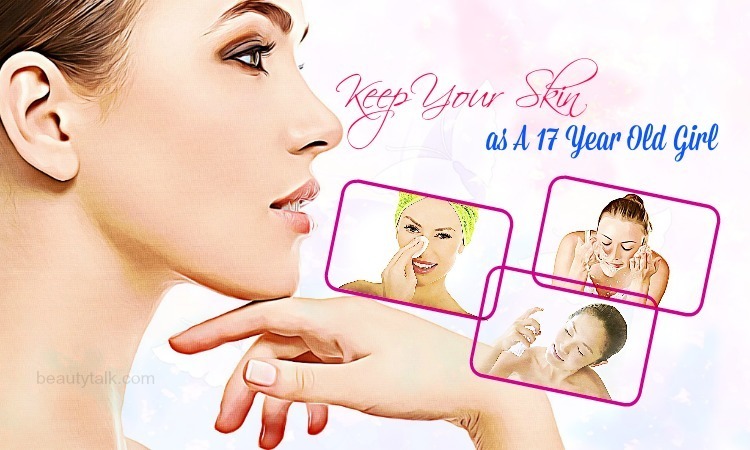 Now, Beauty Talk site will introduce top ways on how to get rid of cystic acne naturally and quickly. Try them right now! Your diet plays a vital role in keeping your skin healthy. You can prevent or decrease any form of acne consisting of cystic acne by making a few dietary changes. You should follow a low-glycemic diet that contains beans, whole grains, fresh fruits as well as green vegetables. You should eat vitamin A and E rich foods such as seeds and nuts. Plus, eat vitamin C rich foods because this vitamin helps to boost development of healthy skin tissues and lessen the appearance of scars. In addition, reduce or avoid consuming dairy products such as cheese and milk until the cystic acne is gone. Avoid foods high in sugar, junk food, spicy foods and oily, fatty foods because they make the acne worse. A very easy and simple way on how to get rid of cystic acne is consuming plenty of water daily. Water is an important thing the body organs need to function properly. Water also helps to maintain the skin supple and soft. The skin gets very dry without enough water, so it’s important to consume plenty of water. Consuming plenty of water daily will assist in eliminating harmful toxins out from your body. Keep in mind to avoid heavy and scented moisturizers. Prior to applying the moisturizer, you need to exfoliate your skin. Before bedtime, make sure to eliminate makeup because this reduces the chance of clogging the pores. Besides, you should use a scrub that contains some important things such as glycolic acid & fruit enzymes. Moreover, vitamin C and sunscreens both help to lighten and prevent acne scars. Generally speaking, the skin touches things daily such as towels, bed sheets and pillow. You need to avoid washing them by using harsh detergents to stay away from chances of irritation and sensitivity. Instead, you can choose homemade laundry soap. To avoid the spreading and presence of bacteria causing cystic acne, change your pillowcases and towels regularly. Green tea has a major component known as epigallocatechin-3-gallate, which modulates intracellular molecular targets and prevents p. acnes bacteria, thus improving acne, according to a study published in 2012 in the Journal of Investigative Dermatology. Green tea also contains natural antioxidants helping you enjoy glowing and healthy skin. Moreover, due to its anti-inflammatory property, green tea soothes swollen and irritated skin. You can consume green tea (3-4 cups) daily to prevent and get rid of cystic acne gradually. Alternatively, mix freshly brewed green tea (1/4 cup) and water (1/4 cup) together. Later apply the prepared mixture to your affected part using a cotton ball. Rinse that mixture off with cool water after leaving it to stay for fifteen minutes. To obtain the desired results, follow this cure twice daily. 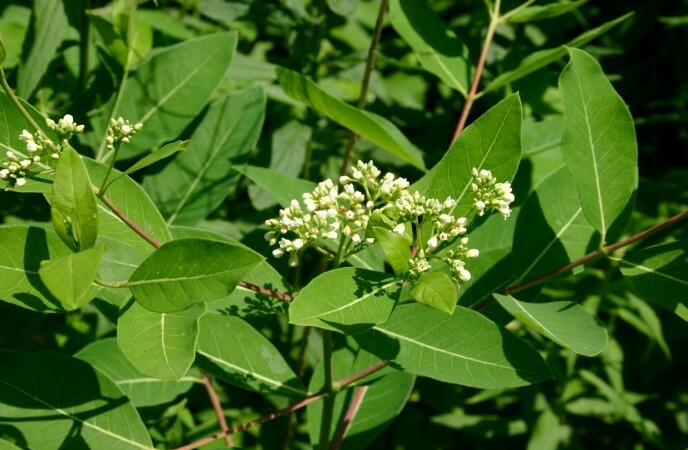 Indian lilac is a popular and tradition Ayurvedic cure for cystic acne. Indian lilac can help to combat the cause of cystic acne and reduce symptoms such as inflammation & pain since .it is packed with antimicrobial & antiseptic properties. Especially, taking Indian lilac internally even helps to detoxify the body and purify the blood. In fact, this is also an amazing way on how to get rid of cystic acne naturally. You simply apply the paste of Indian lilac paste on your skin that is affected by cystic acne. Let it dry on its own prior to rinsing it off by using warm water. You can also use a cotton ball to dab some drops of Indian lilac oil on your affected skin. Finally, after 10 minutes, rinse the oil off with warm water. It’s recommended to follow either of these natural cures twice daily for some days. Using baking soda is another remedy on how to get rid of cystic acne naturally and quickly. It has the ability to soothe the inflammation because of its anti-inflammatory and antiseptic properties. It also takes the excess oil, impurities and dead skin out of the skin pores via exfoliation. In addition, the bacteria causing cystic acne are combated completely by baking soda. Baking soda also assists in tightening the pores and makes the skin smooth and radiant as well. Epsom salt in this remedy has magnesium that contains anti-inflammatory agents. They reduce swelling and calm the flare ups of this infection. Its sulfate flushes out the toxins. You add baking soda (2 tsp), Epsom salt (1 ½ tbsp) and warm water (1 ½ tbsp) in a bowl. Combine the ingredients gently to make a paste. Later apply on the affected regions and let it dry completely. Use lukewarm water to rinse off gently and pat dry. Follow this treatment regularly to get the desired results. At first, use mild soap & warm water to wash your face. This step helps to open up the pores. Then, combine baking soda (1 to 2 tablespoons) and some water to form a thin paste. Then, apply on the affected region and rinse the paste off using lukewarm water after 15 – 20 minutes. After that, pat dry and finally, apply some moisturizer. This process should be followed 1 to 2 times daily. For sensitive skin, add cucumber juice (2 – 3 tablespoons) to increase the soothing and reduce the sting as well. Firstly, use mild soap & water to cleanse your face. Then, pat the face dry completely. Take tea tree oil (1 or 2 drops) and add it to a cotton ball. Thereafter, dab it gently on the affected region and keep it overnight. In the next morning, rinse off using lukewarm water. The simple process should be repeated daily to see the results. For sensitive skin, dilute tea tree oil (1 part) in water (3 parts). This helps to lower any burning sensation or irritation caused by the oil. Honey present in this method contains antibacterial qualities which fight off bacteria while its anti-inflammatory qualities will soothe the swelling. You combine tea tree oil (4-5 drops) and raw, organic honey (1 tsp). Later apply this prepared combination on your affected region and rinse off with water after letting it rest for fifteen minutes. Regularly repeat the process to see the results. The caprylic and lauric acid found in coconut oil possess antifungal, antibacterial, and antimicrobial agents which naturally battle the bacteria responsible for cystic acne. Additionally, coconut oil has vitamin E that reduces free radicals and removes acne scars. You take several drops of coconut oil and apply on the area that’s affected by cystic acne. Massage in circular motions gently and rinse off with the help of mild soap and water. For dry skin, add coconut oil (1 to 2 drops) after rinsing off using water to moisturize. Simply combine raw, unfiltered ACV and water in equal amounts. 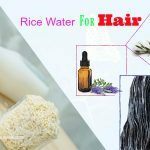 Then, apply this resulting combination on your troubled region with a cotton ball and rinse with water after leaving it on for fifteen minutes. To notice the results, you repeat the procedure twice for few days. Firstly, clean the skin and pat dry and later apply some ACV on your affected region using a cotton ball or Q-tip. Leave the application overnight afterward and the next morning, rinse off with water. The procedure should be repeated regularly for effective results. You can also consume ACV internally. When we consume diluted ACV, it detoxifies our body which decreases the effect of harmful toxins and free radicals. It also aids in preventing acne as well as other skin problems. You just need to add 1 tsp of unfiltered raw ACV and some honey to 1 glass of warm water. Later stir well and consume it 1-2 times per day. Take two eggs and separate egg white parts. Later, you apply it on your troubled part and rinse off using lukewarm water after leaving it on for eight minutes. Regularly repeat this process until you obtain the results. Alternatively, you combine an egg white, 1/2 tsp of honey and 1 tsp of milk. Then, stir well until they combine together and now apply this mixture all over your face except the regions around mouth and eyes. Keep it on for half an hour or until it completely dries. After that, pat a little water on the mask with your finger and gently rub it in circular motions. Finally, rinse the mask off using water and pat dry. The simple procedure should be repeated 2 times per week until you see the results. Egg whites dry out the skin, so people with dry skin should stay away from using this remedy. This way is very simple to follow. 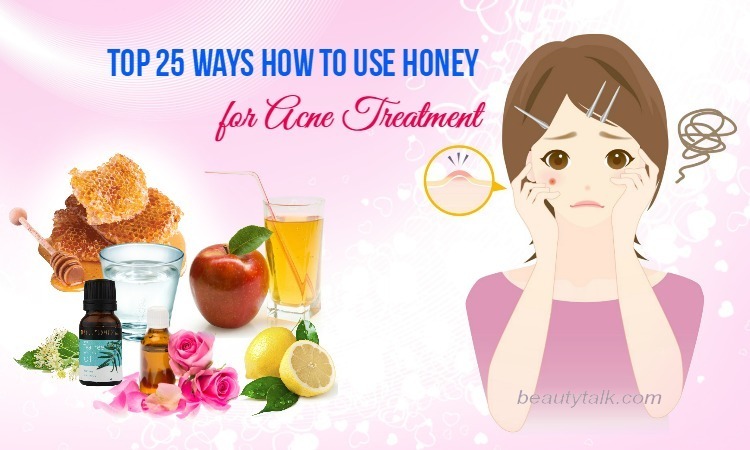 You just need to take a little honey and use your fingers to apply on the affected area. Thereafter, leave it on for ten to fifteen minutes before rinsing it off using water. The process should be followed 2 – 3 times per day. Cinnamon in this remedy comprises anti-bacterial & anti-microbial properties, which will eventually help to remove the cystic acne causing bacteria from our skin. Combine 1/2 tsp of honey and 1 tsp of cinnamon powder in order to form a paste. Later apply it on your affected region and keep it on for about 10 minutes. Finally, you rinse the paste off with lukewarm water and repeat this process every day for a week. When seeking for how to get rid of cystic acne, you should not miss turmeric remedy. Curcumin found in turmeric is responsible for an anti-inflammatory agent. Also, turmeric possesses antiseptic, astringent and antitumor properties. Turmeric first dehydrates cystic acne, drains out the pus & lowers inflammation and pain it’s applied on cystic acne. At first, add some sesame oil or water to 1 – 2 tsp of turmeric powder to create a paste. Later apply on the affected area with this prepared paste and keep it on for an hour. After that, use water to rinse the paste off and pat dry. To get the results, repeat the process around once to twice in a day. Coconut oil contains lauric acid. When the curcumin in turmeric is combined with the lauric acid in coconut oil, they work more efficiently in battling the acne from inside. You need to create a thick paste by combining 1 tablespoon each of coconut oil and turmeric powder. Later cleanse your affected region and pat dry. Afterward, apply on the area with the paste and wait for at least ten minutes. Finally, use cold water to rinse off the paste. Repeat the process thrice a day. People who are diabetic, pregnant, and breastfeeding, or have gallbladder issues, must avoid taking turmeric. When seeking for how to get rid of cystic acne naturally and quickly, you shouldn’t ignore potatoes. Applying potato juice rids the skin pores of the oil, thereby decreasing cystic acne. In addition, the essential vitamins found in it reduce the redness and inflammation related to the cystic acne. 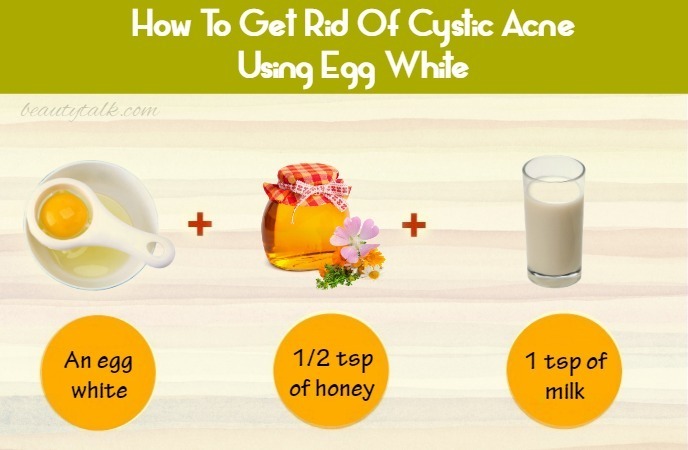 This remedy is also very simple yet effective for removing cystic acne. You peel, chop & blend some pieces of potato and directly apply this potato paste on the cystic acne. Keep the application for fifteen minutes and finally, rinse off with water. You should repeat the application twice in a day. Juniper oil has the ability to tighten the pores & make the skin firm owing to its effective astringent properties. 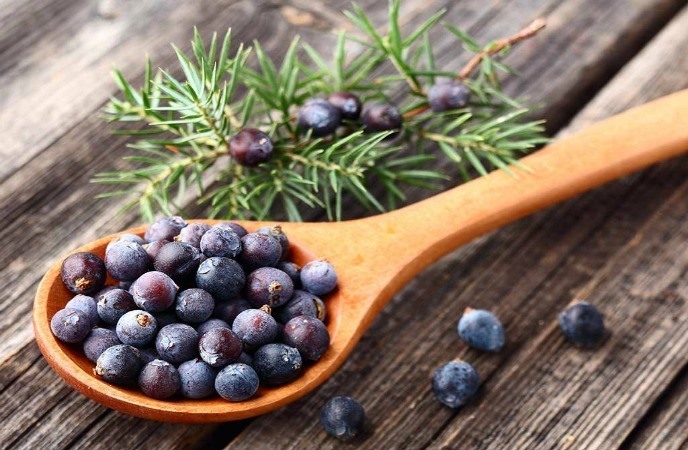 Being rich in disinfectant and antibacterial properties, juniper oil fights off the bacteria responsible for cystic acne. Because it has very strong astringent agents, you need to dilute juniper oil in any carrier oil before using it. You add juniper oil (2 to 4 drops) in a small bottle containing any carrier oil. Later shake well to leave the both ingredients to mix well. Then, clean your face and apply diluted juniper oil (few drops) on the affected region while it’s still wet. Massage gently for a minute and allow it to dry totally. Basically, lemon is enriched with vitamin C and contains the beneficial ascorbic acid for the skin. Additionally, its citric acid serves as antibacterial and astringent agents. Further, its acidic nature helps to break down the cyst & decrease the redness and inflammation. Moreover, lemon juice assists in destroying the bacteria responsible for cystic acne. 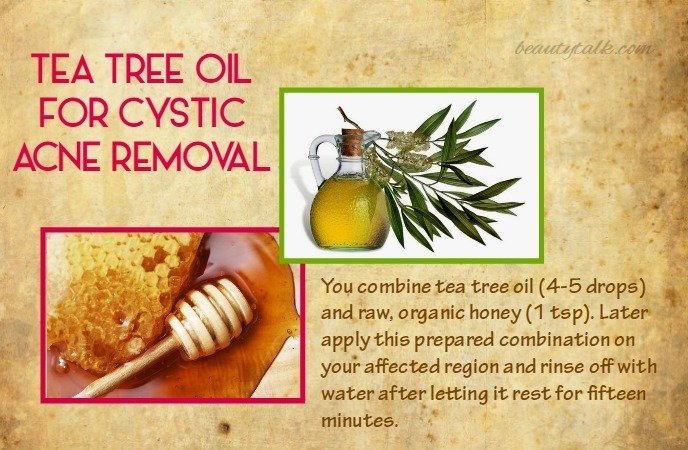 Try this amazing remedy to cure the cystic acne on your skin. Firstly, you use soap and lukewarm water to clean your face. Later, apply lemon juice to your troubled area using a cotton ball. You leave this application for ten minutes prior to rinsing off with cold water. It’s recommended to repeat this application twice per day. Remember to patch test on the arm prior to using lemon juice on the cystic acne because it can cause irritation. 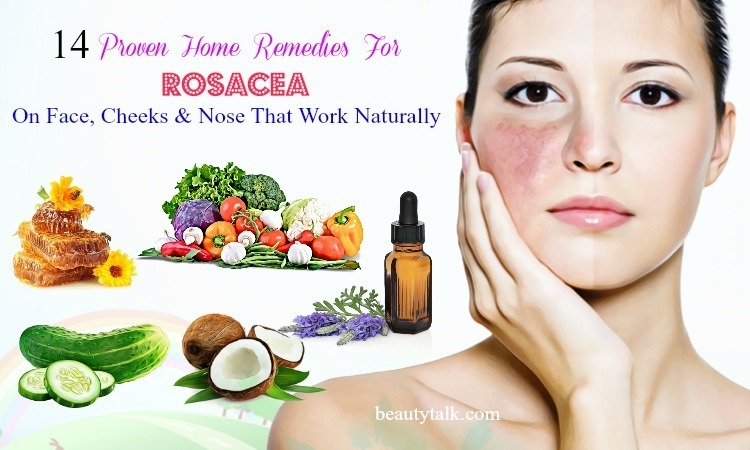 This is also an awesome remedy on how to get rid of cystic acne naturally. Dandelion extract is full of tetrahydroridentin B, cycloartenol , taraxinic acid, minerals and vitamins as well. 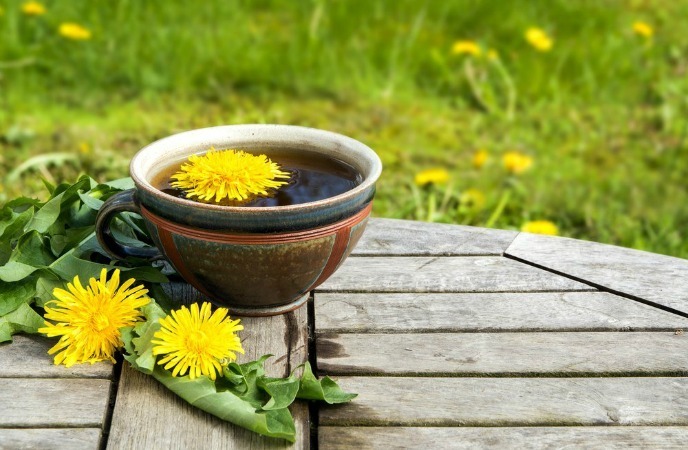 The extract of dandelion helps to fix the hormonal balance and combats cystic acne. For this aim, you consume a cup of dandelion decoction twice a day. Another option is taking around three to four droppers full of dandelion tincture twice a day. You can also add dandelion root and leaves to salads. You can also take dandelion capsules or tablets. All of these methods work effectively to fight with the cystic acne. Lavender oil has profound advantages on skin and hair care because of its antioxidant and antimicrobial characteristics. 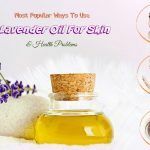 Lavender essential oil is another good remedy on how to get rid of cystic acne naturally. It assists in reducing inflammation and pain, and promotes healing. 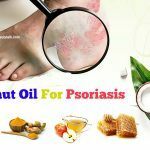 It also soothes and nourishes your skin such as healing dry skin, removing acne, and decreasing the appearance of dark spots or scars caused by acne. Furthermore, lavender oil has the ability to reduce anxiety and stress that are related to acne breakouts in adults. At the initial sign of cystic acne, you take some lavender oil and dab on your affected area around 2 or 3 times per day. Alternatively, you can mix lavender oil (some drops) with a mild cleanser and wash your face with it twice daily. Firstly, wash your face thoroughly. Next, take one bowl of hot water and add lavender essential oil (with 4 to 5 drops) to it. Then, you use a towel to cover the head and let the steam flow over the face for a gap of five and ten minutes. This method needs to be repeated 2 or 3 times per week. Surprisingly, aspirin is a great way on how to get rid of cystic acne naturally and quickly. Aspirin possesses acetylsalicylic acid working incredibly good to cure the acne cysts on the skin. 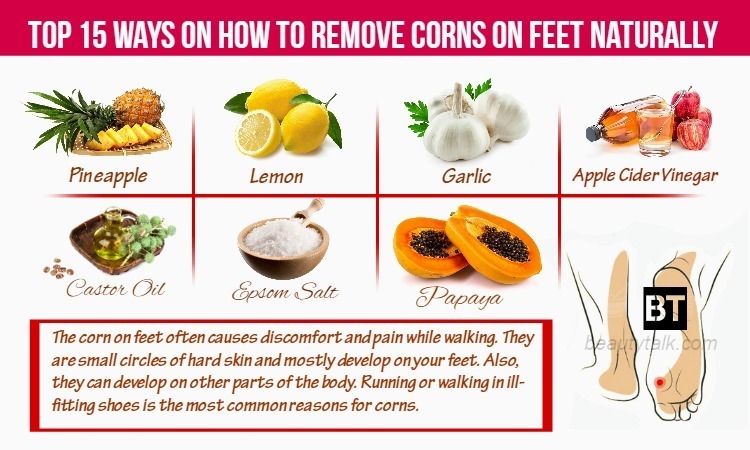 It helps to remove the skin infection instantly. Try this awesome cure to get an instant relief from acne. Take 2 to 3 aspirin tablets and ½ tsp of water. Crush these aspirin tablets into a fine powder with the back of one spoon. Add the water to this powder to form a paste-like consistency. Thereafter, apply this solution all over your acne affected area and keep the paste on your face for around 10-20 minutes. Afterward, wash your face by using cold water. This cure can be repeated two times in a day for around 2-3 days. 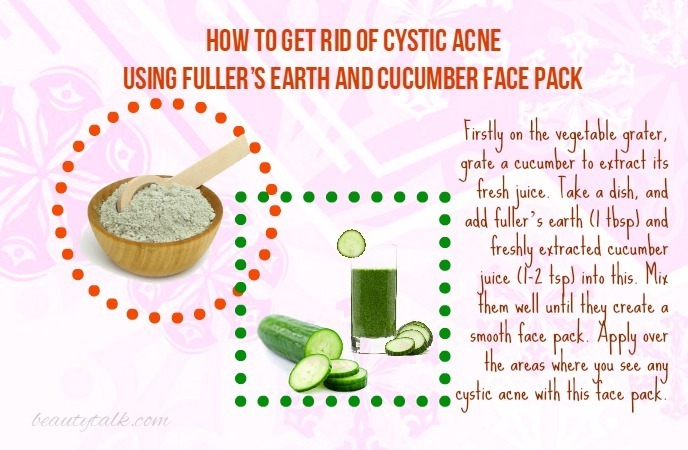 Fuller’s earth helps to eliminate the bacteria and dirt from the skin’s surface, thus removing cystic acne effectively. Cucumber comes with skin soothing and skin healing properties. Also, it helps to control the skin’s excess oil secretion, thus giving the skin prevention from breakouts. 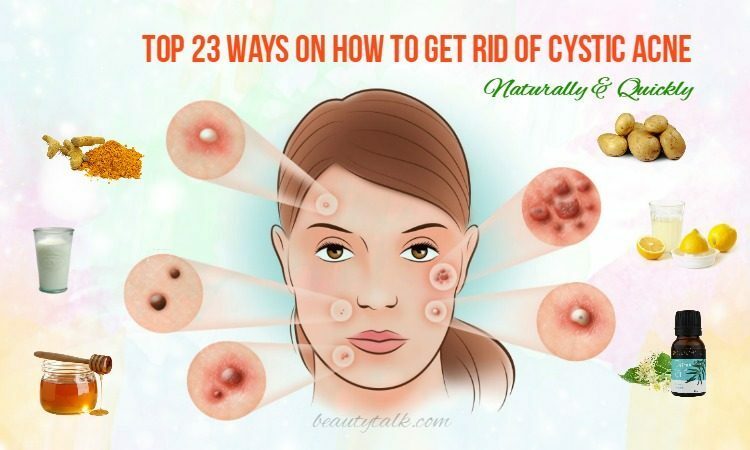 So, this is a natural and effective remedy on how to get rid of cystic acne. Firstly on the vegetable grater, grate a cucumber to extract its fresh juice. Take a dish, and add fuller’s earth (1 tbsp) and freshly extracted cucumber juice (1-2 tsp) into this. Mix them well until they create a smooth face pack. Apply over the areas where you see any cystic acne with this face pack. Keep it on until it totally dries. After that, cold water to wash your face and pat the skin dry. Repeat this natural remedy twice per day for best results. Oatmeal is a natural and great skin exfoliants. This helps to eliminate the clogged pores, excess oil and dead skin cells from the pores. Honey, on the other hand, contains antibiotic agents and is filled with skin soothing properties. Try this remedy now if you are looking for how to get rid of cystic acne quickly. Firstly, make a face mask by mixing 1tbsp of oatmeal with 1 tsp of honey. Now apply this prepared mask all over the face and allow it on for around 20 to 30 minutes. Thereafter, use lukewarm water to wash your face and pat dry. This method can be used 2-3 times per week to alleviate the painful acne. The best & most effective way on how to get rid of cystic acne must include this mask. Aloe vera comprises skin cooling and anti-bacterial properties. This serves as a great skin healing agent, so it helps to decrease the inflammation and redness of the skin. Tea tree oil is full of antimicrobial, antifungal and antibacterial properties, all of which aid in destroying the bacteria responsible for acne. 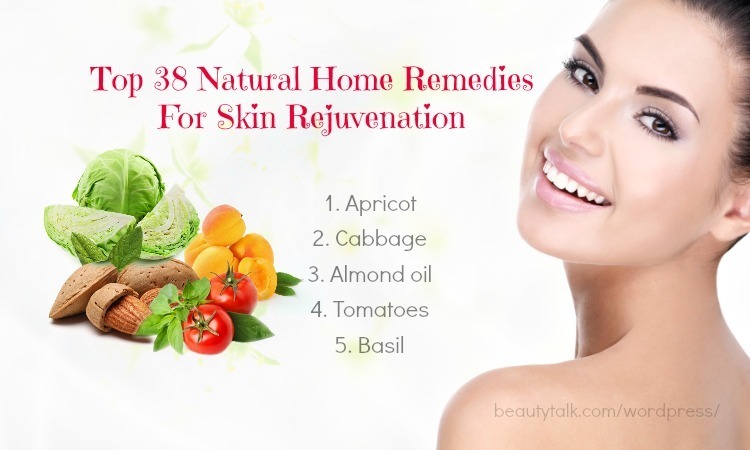 As a result, it leaves the skin acne free. Repeat the application once per day and 2-3 times per week. Prepare 2 to 3 drops of tea tree oil and 1 tbsp of aloe vera gel. Later mix the two things well and apply this combination all over your acne infected area. Keep the application on for around 10-15 minutes. Then, use lukewarm water to wash the face and pat dry. 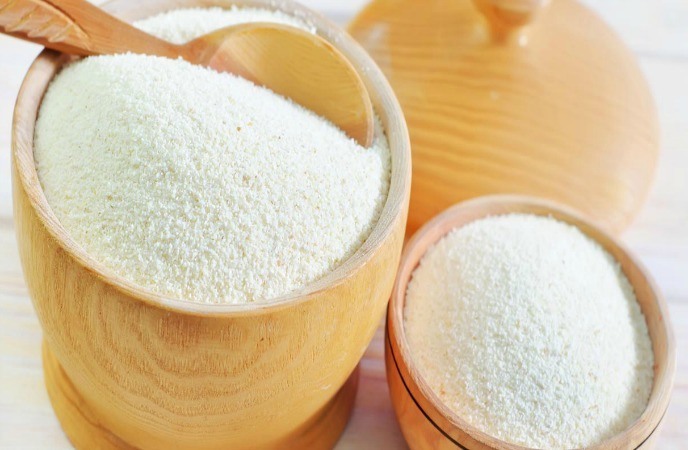 Lentil and semolina both act as a natural and great skin exfoliant which aids in eliminating the dead skin cells. As a result, this leaves the skin clear, smooth, and well nourished. Mint is full of antifungal, antiseptic and antibacterial properties. These qualities help to prevent and deal with the cystic acne effectively. Prepare 2 tsp of semolina, 1 tsp of lentil powder and 2 to 3 tsp of mint juice. Then, add the mint leaves into a blender and blend them to extract the juice. Add the lentil powder and the semolina into a bowl and mix well until a smooth paste is formed. Then, you apply this prepared paste all over your cystic acne infected area and wait for 10 to 15 minutes. Finally, use cold water to wash the face and pat dry. It’s suggested to use this mask once per day and about twice to thrice in a week. All of the above-mentioned methods are highly beneficial in dealing with the cystic acne. They have been made with affordable, easily available and effective ingredients. You should consult a skin specialist if your condition prolongs for a long time. 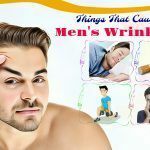 For such articles, please directly visit our main Skin Care page. Hope that this writing will be helpful for all the readers.